Apologies to those following this blog. I have obviously not posted in a long while, mainly because I have been putting it off. I’ve enjoyed writing about our experiences on the Pacific Crest Trail and I am sad to report that our hike is over. Lisa and I decided in South Lake Tahoe to discontinue our journey from Mexico to Canada. It was a tough choice but we feel it was the right one. For the last month we have been taking advantage of our location to visit the exodus of friends from back east who now make the West Coast their home. We’re currently in Massachusetts visiting my sisters, and next week we’re heading to Virginia to visit my mother and reunite with our dog, Loki. We’ve missed him terribly. Thank you for reading my blog. I plan on adding a few more posts describing some memorable moments on the PCT. A visit to an abandoned hostel that resembled a scene from a horror film warrants its own post, as does our stay at the hippy house, Casa de Luna. There are dozens of hikers, all of them fascinating and a bit weird, I have yet to mention who deserve their own bio pages. In the coming weeks I will begin posting some short works of fiction as well as the opening chapters of a novel I am trying to have published. As for our future plans, Lisa and I are preparing to move to Los Angeles this fall. 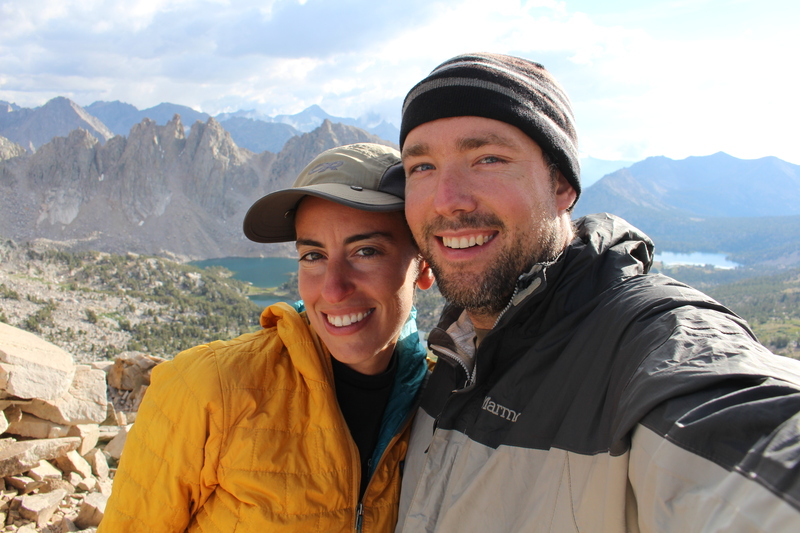 We do not anticipate hiking the PCT again but if we do, it will be as section hikers. Having covered less than half of the trail, there is much we would love to explore. Just in smaller doses.